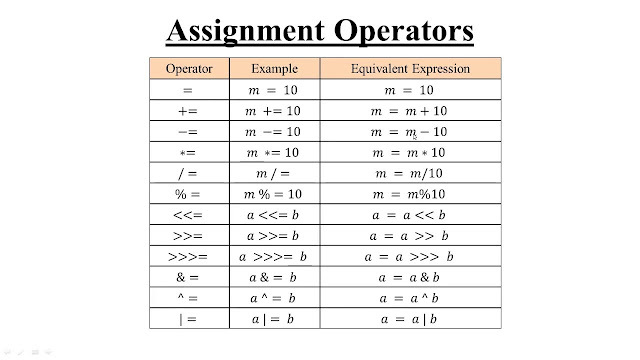 You can use a loop to generate a list based on a range of numbers or on another list. 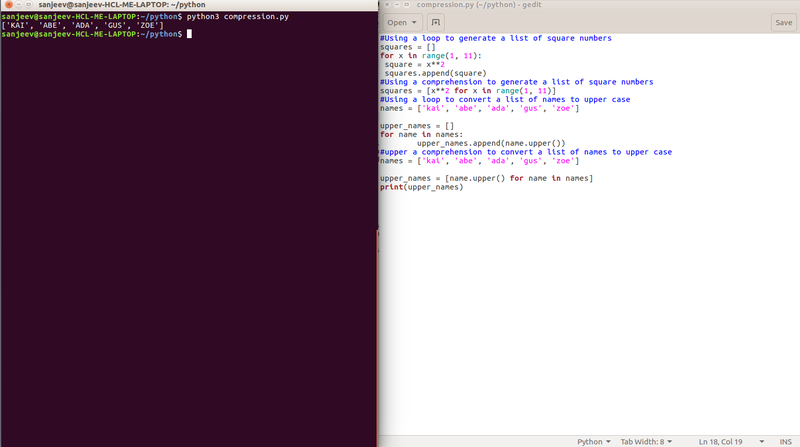 This is a common operation, so python offers a more efficient way to do it. 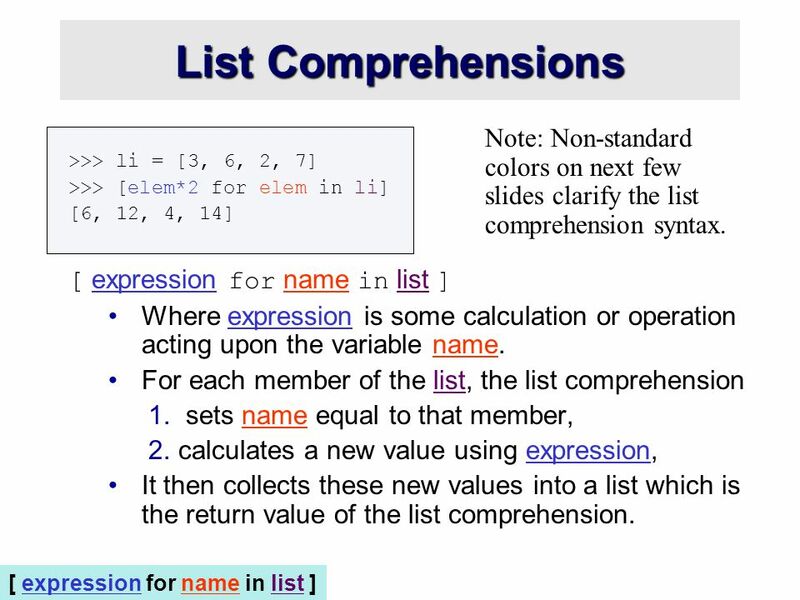 List comprehensions may look complicated at first: if so, use the for loop approach until you're ready to start using comprehensions. 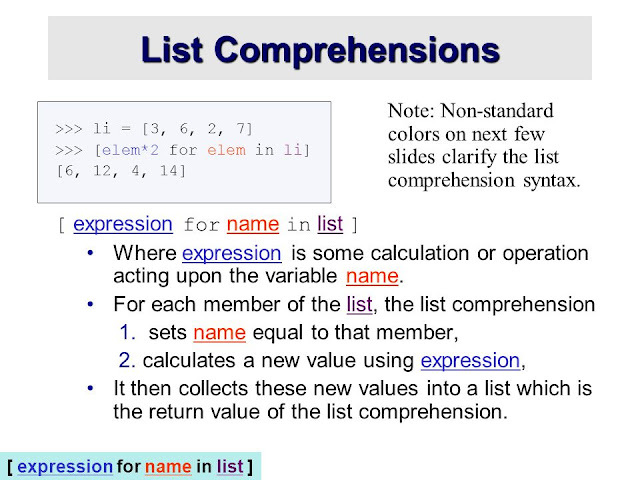 To write a comprehension, define an expression for the values you want to store in the list. 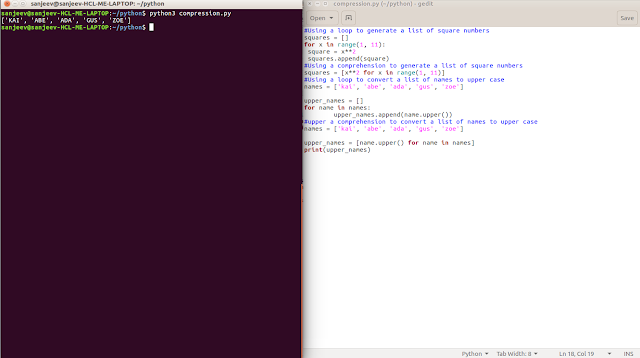 Then write a for loop to generate input values needed top make the list.